A top seller! Our therapeutic blend of premium oils including Moringa and Baobab oils allot this delicate fuse of elixir oil giving a perfect balance for skin and hair hydration treatment. MorBao™ oil is full of nutrients with high amount of omega-9 fatty acid (oleic acid) and rich in vitamins A, D, E, and F providing excellent "food" for your skin and hair. Holding a plethora of natural antioxidants, vitamins and phytonutrients, provides for healthy and glowing skin as the perfect moisturizer and efficient natural cleanser. This special blend is quickly absorbed by the skin and hair without an oily feel. It just leaves a nice smooth and glowing tone on skin. MorBao™ nourishing oil also promotes the strength and elasticity of your hair, leaving it shiny and soft; excellent for dry and fragile hair. 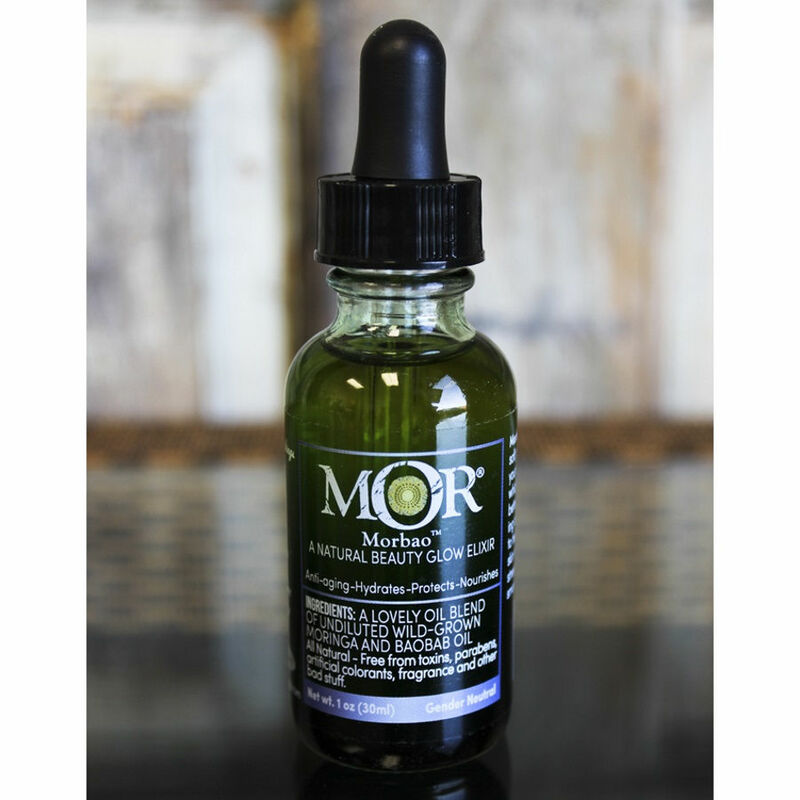 Discover for yourself the anti-aging secret blend by MoR® inspired by the natural abundance and ancient beauty secrets from Africa, where the rich organic ancient trees, the ""tree of life"" and the ""miracle tree"", have been used for thousands of years to protect, heal, nourish and beautify. 100% Certified Pure Therapeutic Grade Raw Oils- no fillers, additives, bases or carriers added. Our wild crafted oil blends stand apart by using only the highest quality, most potent, and purest seeds from Moringa and Baobab seed oil as the natural base of all of our formulations. Don't settle for less: Our experts have masterfully and artistically blended the oils to create the perfect mix anyone can use even on the most delicate skin with a pleasant natural earth scent and calming power only a few drops away! We understand that our products come from limited resources; therefore, this wealth of rare indigenous seed oil is ethically and sustainably handled. We are the direct source, we own our farm and work directly with other community groups in Senegal, West Africa for Moringa and Baobab harvest.